Please note that technical committee of ICMMPE 2019 will make decision for oral or poster presentation. Poster papers receive the same privilege as oral paper. The number of pages per paper should be between 6 - 8 pages, papers having six pages are preferred. Once the committee selected your manuscript for specified journal, instructions will forward to presenting author email to resubmit the final paper for publication. The authors of the paper will take responsibility for any Intellectual Property issues concerning the papers on their own. The organizing committee of ICMMPE 2019 reserves the right to use the papers for conference purposes. max. 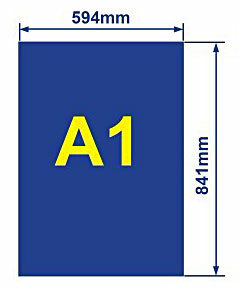 A1 size (594 mm x 841 mm) in Portrait format (see sample image). Allocate the top of the poster for the title and author's name, as stated in the submitted manuscript. The content (text and photos) should be readable from a distance of two meters (six feet). Tacks and technical equipment for the hanging of posters will be available for your convenience. Please check the Final Conference Program for the number of the poster board assigned to you, as well as the date of presentation. Your poster should be displayed according to the order in the Program. Note that a POSTER TEMPLATE will be sent to you once you selected for poster presentation. The Conference organizers will not be responsible for posters that are not removed. - Please note that you should REGISTER before submiting your initial manuscript. Afterward, you can track your manuscript online.